As much so I can find this again as anything else… A 2014 Triumph Bonneville (doesn’t seem to matter which trim package), uses an 1157 bulb for the tail light / brake light. This is single bulb, with two filaments. 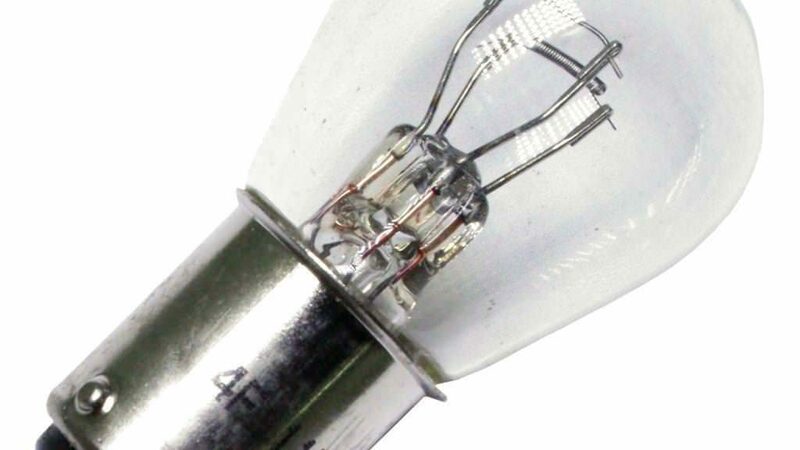 The similarly-sized 1156 bulb only has one filament and most likely won’t work with that socket. The bulb is easily available at any auto parts store. Also, jpcycles.com has a handy little parts finder.